Consumer's Products Online Business: How do you get that trust? Consumer’s Products Online Business: There are three fundamental types of product classification which are durable and non durable products and pure services. Durable products are those products, which are used for longer period of time. Such as Freezer, Car, Mobile Phones, Shoes, and TV, etc. No durable products are those products. Which we need to use quickly as these products expired after some specific period of time. Such as all the vegetables, fruits, and juices, etc. Pure services include those benefits that are intangible. Or inseparable in nature and are offered for sale to customers. Ownership of nothing is transferred because these products are experiential in nature. Accountant, Doctors, Lawyer, and Teaching, etc are the best examples that indicates the term pure services. These all products are purchased by either industrial buyer or final consumer. The consumer products are purchased by final consumers for personal consumption. The industrial products are purchased by the organizations for their usage in the processing operations & administration. Moreover the industrial products are used mostly. Which includes consumables like raw materials or paper clips that can be transformed into finished products. Those products that are purchased by final consumers for personal consumption are called consumer products. The way of purchasing these products provides the basis for the marketer to further classify these products. The following is an important classification of these consumer products on the basis of the manner of purchase & manner of marketing. Those consumer products that are purchased immediately & frequently with little efforts and comparison are called convenience products. Examples of convenience products include the following. The convenience products are placed at the front locations of the stores in abundance quantity. So that they are easily available to the customers. The price of these products is kept lower. This type of product is purchased less frequently & careful comparison is made by the customer on the price, quality, sustainability & style. In case of purchase of shopping products, increased time & effort is made by the customers in collection of information & comparison making. Following are some of examples of shopping products. These products are distributed in fewer outlets by the marketer along with the strong sales support services that assist customers in their comparison making. Specialty products are those consumer products that have brand identification. Or unique characteristics and an important group of customers are happy to purchase these products. Following are some of examples of specialty products. The customers of such products can make enough effort with them for reaching relevant dealers. However, they do not compare the specialty products normally. Those consumer products that are either not known to the customers or they are known. But customers do not usually consider them to purchase. The important innovations are usually included in the category of unsought products. Because the customers get the awareness through advertisement. Following are the examples of unsought products. A lot of personal selling, advertising & marketing efforts are required for unsought products. If you are looking for a way to earn income from home, consider selling products online. Whether you only sell occasionally, such as when you clean out your closet. Or you have a home-made craft or other product to sell, selling online is convenient and potentially lucrative. Learn how to sell your products in established marketplaces. Such as eBay or Etsy, or create your own website with a storefront. Find effective ways to promote your product, and set up a payment gateway account. 1. Choose a product to sell. The most popular items in eBay’s marketplace are electronics, clothing and accessories and collectibles. Sell used items from your home, or sell new items for a profit. Popular electronics include laptops, game consoles, televisions and cell phones. Sell new, used or refurbished electronic items. Used and new designer suits, shoes and handbags sell well. Wedding dresses are also popular. Popular collectibles include remote control cars, American Girl dolls, new and vintage Lego sets and action figures, stamps and trading cards. 2. Set up a seller account. Select a username and password. Confirm the contact information eBay has on file for you. Provide a valid credit card, debit card or bank account information for paying seller fees. Select the payment methods you will accept, such as Paypal, merchant credit cards or payment on pickup. Although it is not required, it is recommended that you get PayPal verified. Pay insertion fees when you list an item. The amount depends on the category of the item and the selling format you choose. You are responsible for these even if the item doesn’t sell. Pay final value fees when the item sells. These are calculated as a percentage of the total amount of the sale. Getting Paypal verified means that you have complied with PayPal’s verification process to establish your identity. This process increases your security. Write a description of the listing. Post pictures of the item. You can post up to 12 pictures for free. Price your item. Decide how much you will charge for shipping. Follow eBay’s suggestions for writing the listing description based on successful listings of similar items. Or, write your own original listing description. Describe the item using straight-forward language. Connect with interested shoppers by selecting the most relevant category and using descriptive keywords. Take several photos of your item from different angles. Research active and completed listings for similar items to determine a fair price. Recommendations for shipping prices are provided by eBay. Write a blog post to notify readers of your sale. Post on Facebook and Twitter to let your followers know you are selling on eBay. Drive more traffic to your eBay store with promotion boxes. These are graphic displays that advertise featured items and sales. You can use eBay’s guided setup to create a promotion box, or you can create your own design. Check the “Sell” section of your “My eBay” dashboard to see if anybody has viewed. Bid on or purchased your item. Revise your listing if you think you need to. Answer questions from potential buyers. Establishing trust make them more likely to buy from you. Provide excellent customer service in order to receive positive feedback. Communicate with your buyer about shipping. Make sure you have received payment before you ship the item. Package your item securely and with care. Create a shipping label and packing slip on eBay. Creating a shipping label on eBay is free and convenient. Just print it out and tape it to your package. Tracking and delivery confirmation information are uploaded to eBay so you and your customer can track the package. 8. Sell handmade goods, vintage items or craft supplies on Etsy. Etsy prides itself on being a unique marketplace. They are committed to selling items that buyers can’t find anywhere else. Familiarize yourself with their requirements before listing on Etsy. Handmade items must be made or designed by you. Outside manufacturers of handmade items must comply with Etsy’s ethical manufacturing guidelines. Craft supplies include tools or materials used for the creation of a new handmade item. You cannot resell handmade items that you did not create yourself. Raising money for charity on Etsy requires that charity’s consent. 9. Join and set up shop on Etsy. It is free to become a member and create a shop. Give your shop an original, interesting name that customers will remember. Choose a name that reflects your style and refers to the product you are selling. 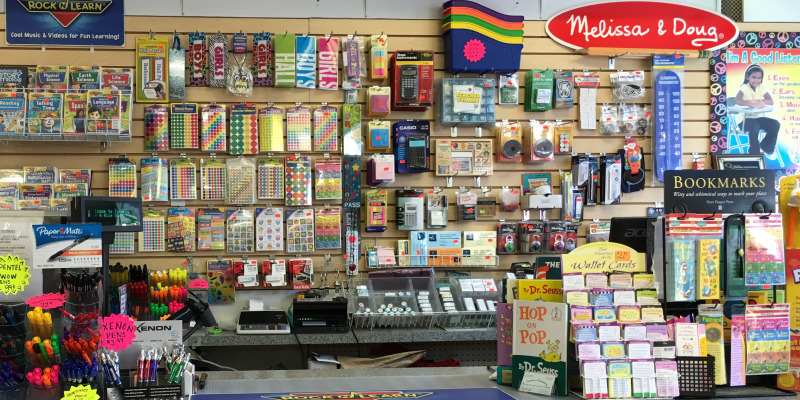 Announce your new shop on social media. Post about it on Facebook, Twitter and your blog to direct traffic to your shop. Sign into your account and go to Your shop > Quick links > Add a listing. Click on the “add photo” icon to add photos to your listing. The first image becomes your thumbnail. Give your item a descriptive title with searchable terms. Use dropdown menus to select the type of item and category. Write a thorough description. Set the price. Set your shipping price. Each item listing costs $0.20 USD. Listings remain active for four months or until the item sells. Transaction fees are 3.5 percent of the final sale price. Fees are accrued to your seller account monthly. You need to have a credit card on file for paying seller fees. Etsy provides a direct checkout service. Customers from anywhere in the world can pay in their local currency. Funds are deposited into your account in your local currency. You can also accept payments from Paypal, checks or money orders. Participate in social media to promote your items for free. Use Facebook, Twitter, Tumblr and Pinterest to advertise your shop. Join an Etsy team. These are groups of members who support each other to grow their businesses. Use Promoted Listings, Etsy’s on-site tool for advertising your shop and products. 14. Create a website to sell your product professionally. If you feel confident enough about your business to branch out on your own. Develop a website that acts as a storefront for selling your products. Learn about the ins and outs of designing and hosting a website. Organize your site to guide customers through categories of products. Write content to promote your products. Get paid through a payment gateway account and merchant credit cards. 15. Register a domain name. This is the web address of your online business. Find a name that isn’t already taken. Most registrars charge a fee for claiming the domain name. You will need a credit card or PayPal account to pay this fee. Domain name registrars include GoDaddy, Namecheap, 1&1 Internet and Dotster. 16. Choose hosted shopping cart software if you are not confident with technology. They will manage the hosting, security and coding if you do not know how to do it yourself. They typically offer a user-friendly, non-technical interface. You can quickly upload your products, connect to a payment processor and start selling. However, you may not have much flexibility to modify the functions they provide. You will receive technical support from support staff. Examples include Shopify, Bigcommerce, Wix, Weebly, and Squarespace. 17. Choose self-hosted open source shopping cart software if you can manage the hosting, security and coding yourself. These are standalone programs that require you to install them into your own host. You can design them to operate the way you want them to. Choose from several advanced features that let you customize your customers’ shopping experience. You must manage all of the technical aspects yourself or hire someone to do it for you. Examples include Magento, Word Press with WooCommerce and Open Cart. 18. Choose a web host if you are using a self-hosted open source shopping cart software. A web host gives you space on the internet and support for building your ecommerce site. You will have to pay for site maintenance, search registration and site development. Free web hosts are available, but you have to deal with disadvantages. These include advertising on your page, a limited amount of web space (typically under 5 MB) and limits on file sizes and types. Also, they may be unreliable and slow which may cost you customers. Choosing a commercial web host has advantages. They are faster and more reliable, and you can purchase enough bandwidth to transfer more data to customers, such as music and videos. You can purchase more web space and they offer technical support. Also, you can have email addresses at your own domain. Choose a web host that lets you set up a secure SSL server. This gives you a website that begins with “https://” instead of http://. Expect additional charges, but you will need this if you plan to accept credit card payments. 19. Choose a template for your website. Your software may offer hundreds or even thousands of different templates. Choose one with background graphics and visual images that give your website the image you desire. You may even find graphics that reference the product you are selling. However, consider paying for a premium template. To find one that fittingly complements your business. 20. Choose advanced tools to expand your website. These are provided with your software. If your business is small, you may be able to manage processes like shipping and bookkeeping manually. However when your business starts to grow. You may want to automate some of these functions. This frees you up to deal with the other administrative and operational issues of your growing business. Shopify and Bigcommerce both offer apps that can increase their capabilities. Think about what your website will look like and how you want your customers to use it. Determine the location and size of your logo and other visuals. Create menu selections that guide your customers through the pages of your online store. Start with a home page, and choose other menu selections and submenus that organize the information on your website. Identify the kind of information you want on each page. Your software will give you options for setting up your storefront with different formats and styles. Ecommerce content creates a superior shopping experience for your customers. Most of your content will be unique product descriptions and customer reviews. But it may also include buyer’s guides, videos, photographs or comparison tools. Do keyword research to identify terms your customers search for and use them in your content. You don’t want to go overboard and clutter your site with too much information. Give your customers a satisfying experience that convinces them to purchase. 23. Obtain a merchant account from a bank. This gives you the ability to process credit cards. Go to a bank with whom you already have a relationship. If you have credit cards and business accounts there. They will likely give you a merchant account because of your long-term relationship with them. If they won’t give you a merchant account, apply at another local bank. Offer to move all of your business accounts there to persuade them to give you merchant status. 24. Choose a payment gateway account. This is an online transaction processor that lets you process credit cards from online shoppers. It handles verification and transfer requests. It communicates with the shopper’s bank to authorize the credit card in real time. If you don’t have a merchant account. They offer packages that let you set up a merchant account and accept payment. The most popular providers are PayPal, Authorize.net, Cybersource and Verisign. You pay a monthly processing fee based on the number of transactions per month. And you also pay a fee of from 3 to 5 percent per transaction. Collect data about your customers and their behaviors. Use this data to create customized and relevant content. Time the delivery of this content to take advantage of your customers’ shopping habits. For example, if your target customers are teachers supplying their classrooms. You would want to know when they are most likely to shop for supplies. Gather this information from online profiles, surveys and browsing activity on your website. Marketing automation systems are available to help with this process. 26. Use user generated content (UGC). On ecommerce sites, this is typically found in the form of customer reviews. 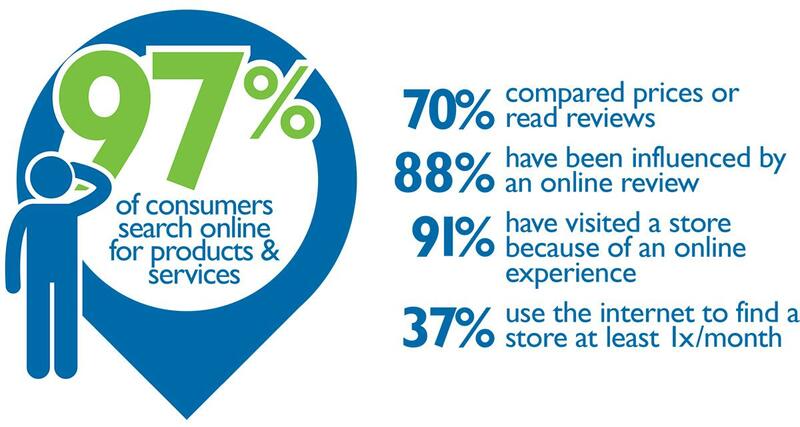 Shoppers trust consumer reviews more than traditional marketing and advertising. They believe that reviews from real customers are more authentic and believable. Display customer reviews prominently on your site. Having them has been proven to translate into increased sales. 27. Develop engagement-based loyalty programs. Encourage customers to leave reviews by creating badges, leaderboards and user profiles. This not only increases the quantity of reviews, but also the quality. Customers have an incentive to write longer, more detailed reviews. They will also include other content such as photos and videos. These reviews make shoppers more likely to purchase. Because they will trust customer reviews more than other content. 28. Offer customers the ability to shop in their native language. Shoppers prefer a native-language shopping experience. More than two-thirds of online shoppers have native languages other than English. Providing the ability to shop in their native language gives customers a more satisfying experience. This translates into increased sales. This is the process of comparing two versions of a web page to see which one performs better. Show two variants of an element on your website to similar visitors at the same time to determine if one results in more sales. For example, test two “Add to Cart” button designs for your website. Option A is your existing button, and option B is the new design you want to try. Direct live traffic on your site to either option. Determine which button generated more clicks. Other elements to test include layout, pricing, promotions and images. 30. Start an email list. One of the most effective online marketing techniques available is also one of the oldest – digitally speaking, of course. What is it? Email! When you get people to sign up for an email list. You’re building a group of potential customers. Who are already engaged enough to want communication from you. With an email list, you can keep interested people aware of new products, sales, deadlines. And more so that they’re more likely to make purchases. How likely? According to a survey from Marketing Sherpa. Businesses report a 119% ROI for their email campaigns. That’s sure to help you sell products online. 31. Share your expertise in a blog. Want to sell products online? People have to trust you. How do you get that trust? Start writing. It’s not as easy to quantify the ROI that businesses see from blogging and other forms of social media. But it’s clear that engaging potential customers in this way can definitely help raise brand awareness. Cause people to see you as an expert in your field. And make them more likely to think of your store when they need products like the ones you sell. For example, if you sell mainly gardening products online. Your blog shouldn’t be an explicit advertisement for those products – instead, offer DIY tips, talk about industry trends, and share examples of awesome gardens you find. The idea is to present your company as one that knows all about gardening. When it comes right down to it, the best way to sell products online is to reach qualified leads in any way that you can. Get the right people coming to your shop and the sales will come. 32.How would I get the product to the consumer? Visit your local USPS, UPS, Fedex, etc. for shipping advice. Take the product with you, if you can, so it can be weighed and sized for the most cost effective shipping method. Consider your packaging and how protected the contents needs to be. Does it need to be boxed, or can it be shipped in a lightweight bag? Research the web for the most cost effective packaging.